The Bentley London Waldorf Astoria Collection has launched an exclusive hire option to corporate groups. The 64-room property in South Kensington is targeting the corporate market with the option of exclusive hire. 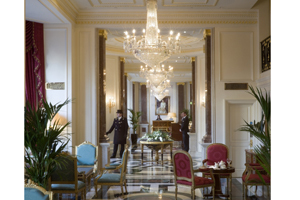 The Bentley London Waldorf Astoria Collection director Reema Sanger said taking over the five-star hotel exclusively would offer corporate groups enhanced service and security. "There's a market for a highly tailored accommodation experience where groups can commandeer the whole property, dress it to suit their specific event theme or requirements and use our dining, leisure and business facilities," said Sanger.